Wearing falsies can be a challenging task at times. You might feel conscious throughout the event thinking they might come out any second or the glue is too visible or they look too fake and unblended that people might end up telling you that. Even after realizing what an embarrassing position it can put us in, the truth remains; none of our outlook is complete without wearing long beautiful lashes. 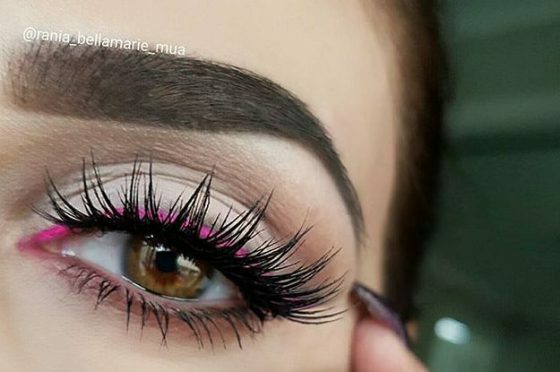 So dropping the idea of wearing falsies isn’t an option my friend! Therefore we bring a few hacks for you using which you can save yourself from such awkward situations and end up having an amazing and much natural look without having to fret about anything. If you want a more natural look with the falsies, what you can do is to cut the falsies into half and stick them to the corner of the eyes. This will make your eyes look bigger and cat-like. You must try this if you are heading out in the daytime for an event. If you want easier application of the falsies, they must be perfectly curved liked the shape of your eyes. To turn your falsies into perfectly curved ones, wrap them around your mascara bottle and leave them that way for a while. Placing the mirror in the correct position matters a lot when it comes to applying falsies. A simple tip is to keep a mirror down at the dressing table and look down at the mirror. This will allow you to see the line above your lashes clearly and make the application 10 times easier. If you find it hard to apply adhesive on the strip of the lash, you might find it easier to apply it on your lash line instead, the same way as you apply your eye liner. Wait for the glue to get dried and then set the falsies on the line with ease. If you want a dramatic look with voluminous eye lashes that are perfect for a night event, you can easily create your own. 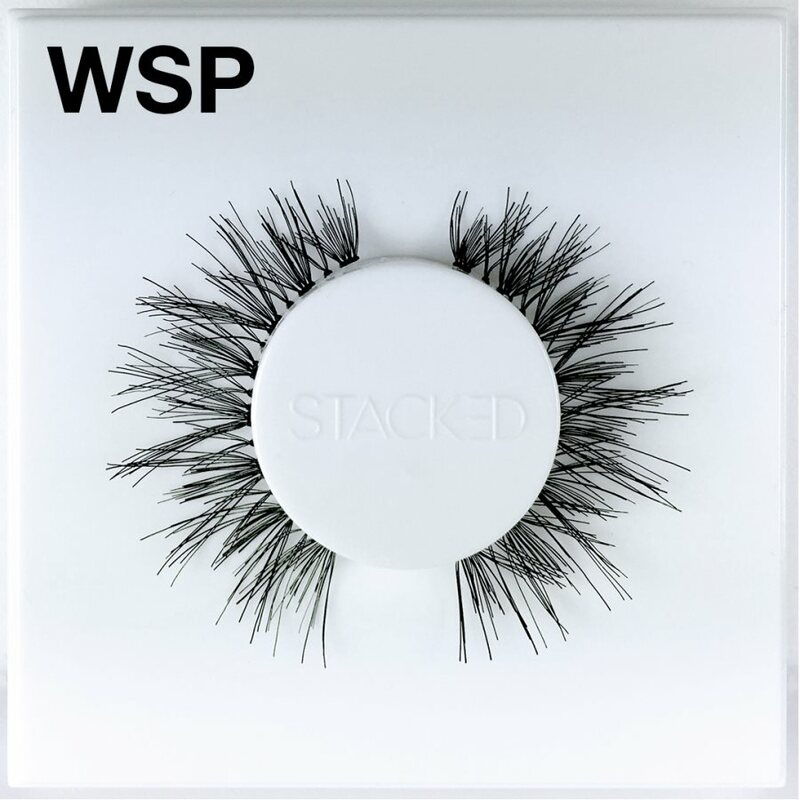 All you need to do is stack two falsies together. 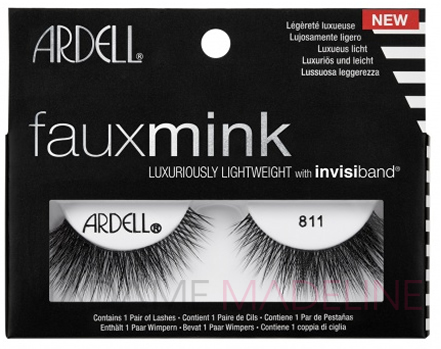 This will add more thickness and length to your lashes and bring out the shape of your eyes. You can also mix different shapes of the lashes for a more natural and blended effect. Let the glue on the lashes dry for around 50 seconds before you start applying it to your eyes. This will give the glue sufficient time to get more adhesive, and more adhesiveness means that the lashes will stay in place for longer allowing you to feel free from worrying about it coming out any second. Did you know olive oil is the best for the growth of the lashes? Using this oil will not only help you remove the falsies with ease but also eventually make your lashes thicker and longer. If you want a more natural and blended effect, put on a black liner to make the strip of the falsies invisible. Not only that, it will also make your eyes more enhanced and eye-catching for other. Once you have worn the falsies, apply your favorite mascara to blend your real lashes with the falsies and look more natural and thicker. If you are heading out to some daytime and more casual event, try the simple and adjustable look of individual lashes. It is simple to wear these falsies and you can also make your own individual falsies by cutting your fuller false lashes into small divisions. Apply them with the help of tweezers and a bit of glue will be enough for each lash. It is a little tricky to make your own falsies but definitely more fun than buying a pair. All you need to do is take out the bristles of a makeup brush and take some glue. Make a line of the glue using another lash to measure the width. Use a tool to stick the bristles to the glue in a perfect alignment and then leave them to dry. If there is any white substance visible on the lashes after drying up, apply your black shadow on them. Store the pair into a metal box and make as many as you want. This post was written by Beth Martel. She is a mother of two, a medical professional and a humanitarian. She blogs at HealthyRecharge.com. Check out the three best hair oils that can give you thicker hair.